John Paruolo’s home town of Chicago provided the launching pad and musical education for a flourishing 40-year career. John began playing accordion at age four which soon included piano and the Hammond B3. Forming local bands from the age of 14, he was touring the Midwest and Southeast regularly before he graduated high school. He went on to study music theory at the Chicago Conservatory of Music. One of John’s local bands, Eddie Boy, received a contract from MCA Records and John was off to LA for the next 25 years, where he recorded with numerous acts and producers, including Richard Perry and Jim Ed Norman. 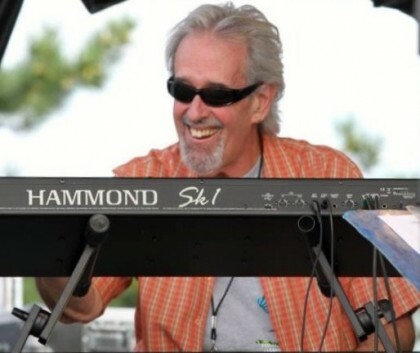 In 1980 John became a founding member of Jack Mack and the Heart Attack, a group that quickly rose to be the go-to band for Hollywood A-listers that embraced their sound. Fan Penny Marshall convinced Laverne & Shirley producers to write a segment that featured the band on the eve of their Full Moon/Warner Brothers release “Cardiac Party,” produced by Glenn Frey of the Eagles. They were invited to play celebrity weddings, parties, fundraisers, film openings and Grammy parties.